The United States is unsure whether the UN Security Council resolution imposing new sanctions on North Korea following its nuclear test in September will lead to significant changes, thus making further sanctions against Pyongyang possible, White House spokesperson Josh Earnest said in a press briefing. 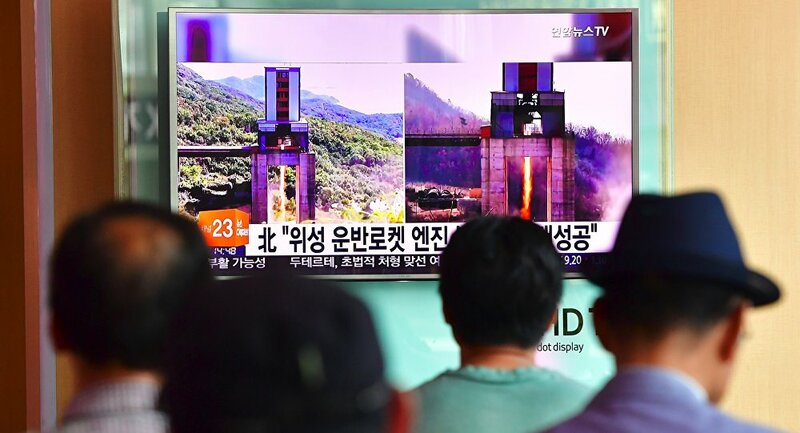 WASHINGTON (Sputnik) — The new resolution, adopted unanimously by the members of the Security Council, condemns "in the strongest terms" the nuclear test conducted by North Korea on September 9. "I don't think anybody outside of North Korean government can predict exactly whether or not this [new sanctions] will lead to the kind of behavior we would like to see," Earnest stated on Wednesday. "There is always an opportunity for us to go further." Earnest pointed out the UN resolution represents a substantial escalation of pressure on North Korea, because it imposes a hard, binding cap on the country’s coal exports. The resolution also expands a range of sectoral sanctions on other exports that North Koreans use to raise hard currency. "When you are the subject of so many sanctions, raising this hard currency is difficult to do," Earnest noted. "We made it even harder." The UN Security Council adopted the first resolution on North Korea in 1993. In 2016, the Security Council held nine emergency consultations in response to Pyongyang’s nuclear tests and ballistic missile launches.